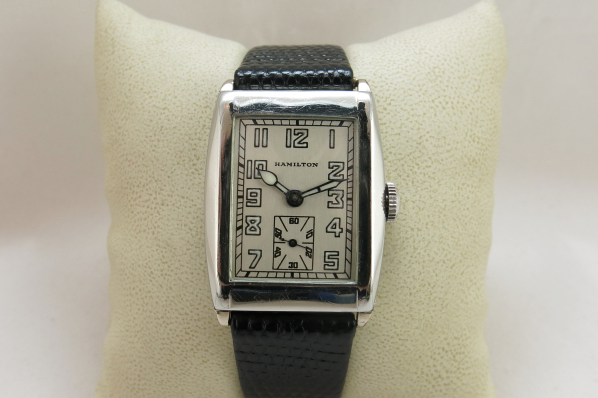 Vintage Hamilton Watch Restoration: What a Difference a Dial Makes! I think there are two things that can make a dramatic difference in a watch... replacing the crystal and redoing the dial (and hands). Replacing crystals is inexpensive and easy to do. It's definitely a do-it-yourself project, especially if you have a few to do. Getting dials redone is something that you need a professional to tackle for you - but pulling the dial and hands in order to send it off is something you can do yourself as well. There's a lot of debate about when you should refinish a dial... or even if you should finish it at all. Definitely a nice original dial is more appealing than a nice refinished dial. A cruddy original dial is probably more appealing than a cruddy refinished dial. But a nice refinished dial is more appealing than a cruddy original dial. So it really comes down to what makes for a cruddy dial? Old luminous dials used Radium... which is a radioactive material that reacted to the luminous material and made it glow - all the time. The radium oxidizes (rusts) but it's still radioactive and will be for thousands of years. The good news is the crystal and case block the alpha rays. But that's the reason you see radium burns on dials and crystals. So to me, getting a luminous dial redone is actually an appealing thing to to. Other dials get spotted and scratched and getting them redone makes for a nice improvement as well. This Raleigh had an incorrect redial already. You can tell because the font is incorrect. In addition, the dial has a little bit of radium burn showing. Getting this dial redone was a no-brainer. Once it was redone with the correct dial pattern it looks excellent! This Thor dial was a judgement call. 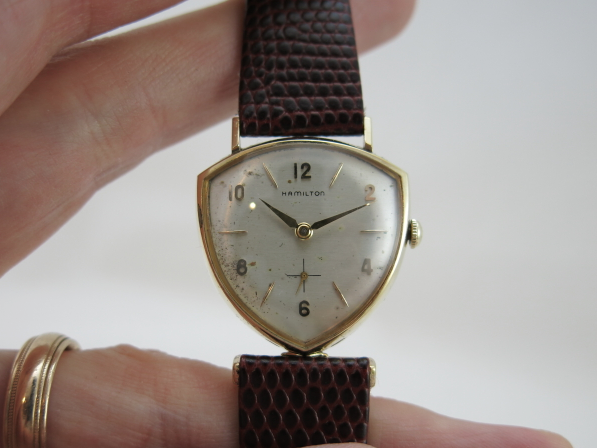 Although the dial was original, it was very spotty along the edges. To me, when the spots become a distraction it's a good time to get it redone. Here it is refinished. This dial pattern is fairly simple so it's easy to get it to look like new. I think it looks much better and without any distracting spots your eye can appreciate the unique design of this asymmetric watch. 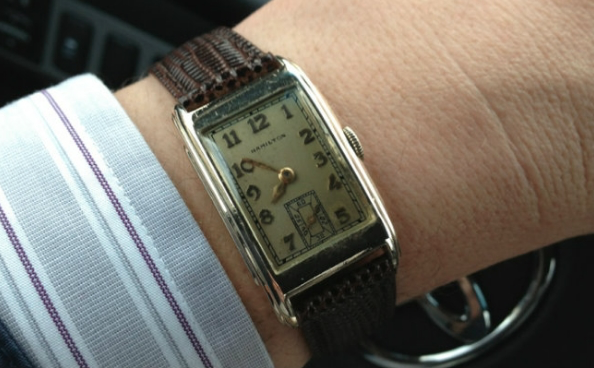 The 1940 Whitman was only made for one year so it's an uncommon watch. 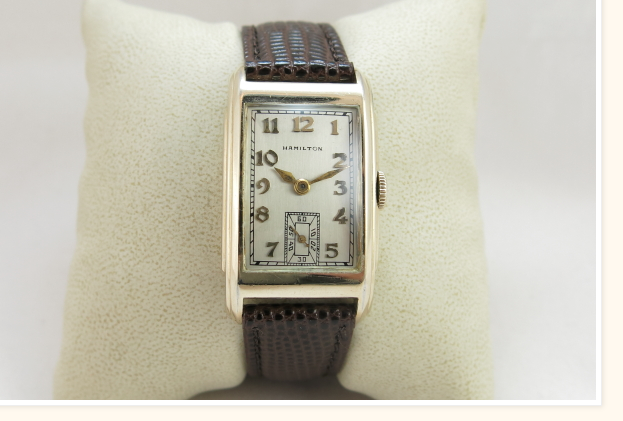 I showcased this watch on my blog and featured how I restored the terribly worn case. The dial was an old refinish but the finish on the dial was a little splotchy. It's hard to tell in the before photo but it was a bit more yellow than it should be. On the "after shot" the nice butler finished AGN dial really looks superb! This old battered watch looks almost new again. This 1930 Gladstone was a judgement call too. Although the dial was spotted, it was evenly spotted so that's more of a "patina" and can actually have a pleasing look. 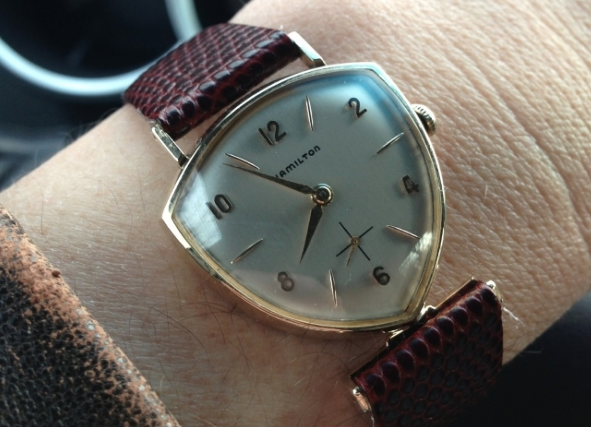 The case on this Gladstone is very good which is a nod in favor of getting the dial redone. In this after-shot the dial and hands looks great with matching lume. 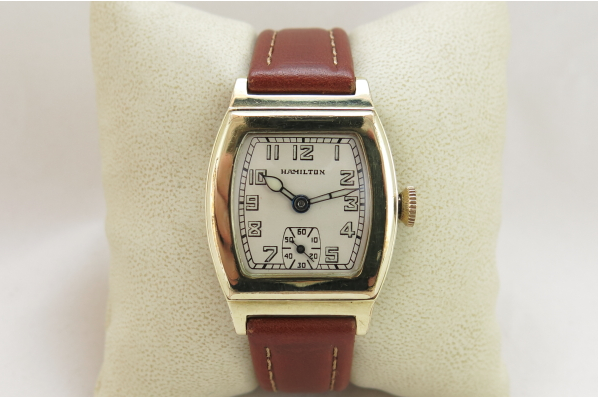 The watch looks almost new and that nasty old radium is gone. 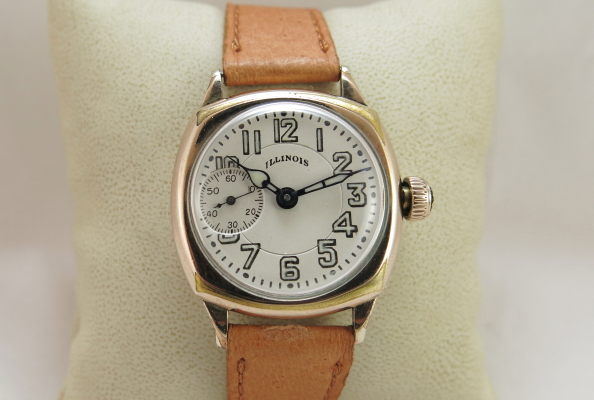 This old Illinois Cushion was a funny little watch... not so little really as it has a larger 3/0 movement. You could wear this watch on the inside of the right wrist and it would be easy to tell the time. 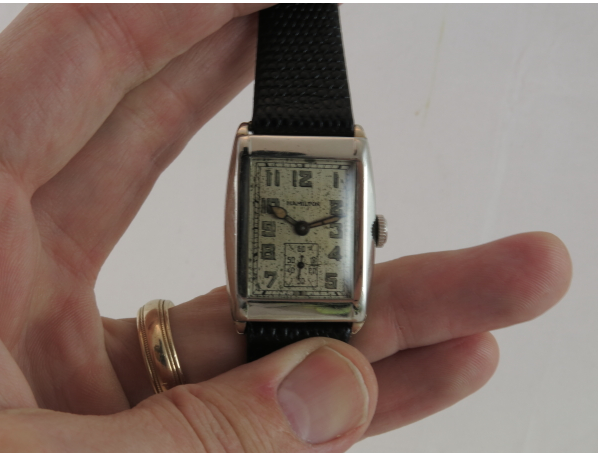 "Back in the day", as they say, wrist watches were worn on the inside of the wrist. Worn on the outside, this orientation makes for an uncomfortable head nod to read the time. 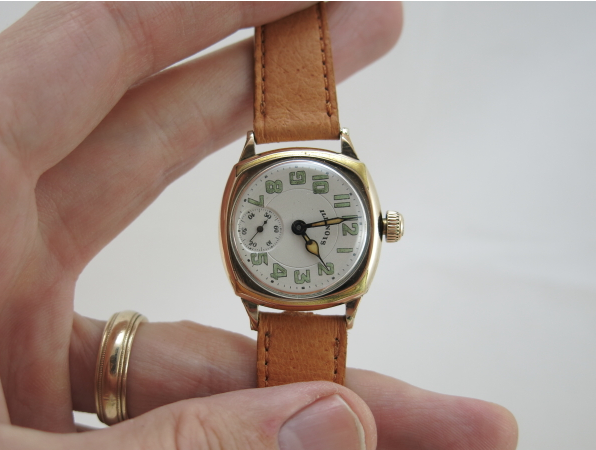 This orientation of the dial is also appropriate for a pendant watch or pocket watch. The non-matching lume on the dial and hands is a little distracting too. Here it is redone with a "seconds at nine" pattern. This is a very cool layout in my opinion and the matching lume on the dial and hands pulls it all together. 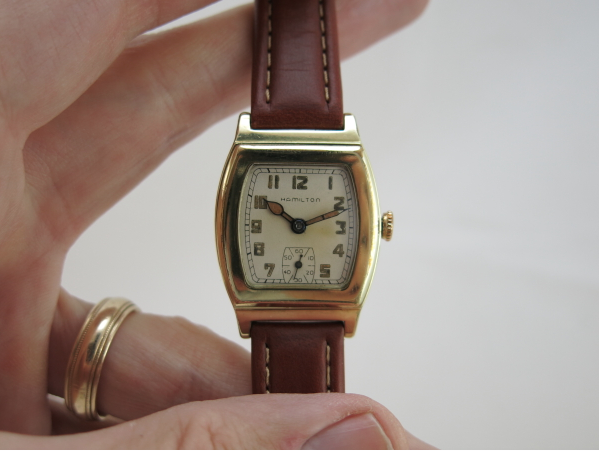 Like I said above, getting a dial redone and replacing the crystal can make a dramatic improvement on an old watch. Getting the movement overhauled to run like new is the first step - but these finishing touches really go a long way - that's for sure. Each dial has a pattern (or even more than one if multiple prints are involved) and what you're seeing is likely the result of different patterns being used. This occurs frequently with the Martin. Technically the 5 second marks should be more prominent and in many cases they appear to miss this detail.